I am sure that all us Moms have heard that more times than we’d care to remember! Every morning I wake up and start to plan the evening meal. Decisions, decisions!! Well, tonight I made what our family calls, Naked Chicken! Actually it is un-fried chicken, but when the kids were little, they’d call it naked chicken! The secret to this recipe is to make sure both the chicken and the yogurt are very cold ( hence, soaking the chicken in ice water). The preliminary soaking will help the breading adhere and produce a crisp coating just like that of fried chicken. Raw chicken may contain bacteria that can cause illness. While the bacteria is destroyed by thorough cooking, care should be taken to avoid contaminating your work area and other foods with raw poultry juices. And make sure your chicken is cooked to 170 degrees with an instant read thermometer, or until juices run clear and you can no longer see any pink or red flesh once the meat falls away from the bone. Ok…..enough of Chicken 101! Are you ready to try un- fried chicken? Lets go! First…..preheat Mister Oven to 400 degrees. A little warmer than usual! Coat your best baking sheet with 3 sprays of the cooking spray. Place that big, fat chicken in a large bowl with the ice water. It won’t hurt him or her, after all, we are going to EAT it!! Put your yogurt in a medium bowl. Set both bowls aside. Second……toss all of the breading ingredients into a large, tightly sealing plastic bag. Seal that bag real good and shake it up to mix the ingredients. Now….remove 2 pieces of chicken from the ice water. I am sure the chicken appreciates it! We are going to give the chicken some warmth by rolling it a coat of yogurt. Place the yogurt wearing chicken into the bag of seasoning and toss real well. Transfer that lovely breaded chicken to the prepared baking sheet. Repeat this process until all the pieces are wearing matching yogurt breading. Spray the chicken lightly with the vegetable oil, like a mist of suntan oil! It is going to be very hot where they are going!! Last…..place the baking sheet on the bottom shelf of the oven and bake for 1 hour, turning these lovelies over every 20 minutes so their golden brown. Make sure they reach 170 degrees before removing from Mister Oven to ensure doneness. 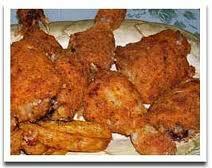 There you have it….the Santilli Family recipe for Naked Chicken!! For those of you that are following my blog, you know this is a site I started with recipes and I plan to mix it up a bit in the near future. So, this post today, is a lot different! No cute anecdotal remarks about cooking or how cold & miserable it is here in Iowa right now. Those thing will be posted another day, perhaps tomorrow. But today, is about my beloved sister, Lisa. Lisa and I were born 25 months apart and grew up in Tampa florida. In my memory, I can’t recall seeing two sisters as close as us. Oh, I am sure there are very close sisterhoods, but Lisa and I were just great together. I got married when Lisa was 16. She was so sad when I left home. I received daily letters from her; she couldn’t spell and it took me quite sometime to decipher them! It was well worth it in the end.I missed her as much as she missed me too. As my new station in life as a newlywed took my husband and I on our own adventures, Lisa managed to find a way to do just fine without me. Albeit, I wanted her to miss me! Silly girl I was! After my husband served in the U. S. Navy in California and Great Lakes Illinois, we made our way back home to the comfort of family. Lisa came right along with me too! I would have to say, that we have only been apart maybe 10 years of our lives. And I will be 50 in August!!! I think I should mention that I also have two other sisters. I was 11 when Robin was born and 16 when the last girl ( of 4, my poor father! ), Lindsay was born. I didn’t really spend many of Robin and Lindsay’s formative years with them. They were, and are, my little sisters. But there is a difference between them an I of epic proportions.Lisa is the sister that I had shared childhood memories with!In the summer of 2010, I moved to Bode Iowa. Lisa had to remain in Florida. Our parents bought all of their girls homes. What a great feeling to be mortgage free!! As soon as Lisa was able she made her way up here in July 2011. I was so happy to have my best friend here, finally!!! Bode is like Mayberry RFD……what a culture shock! Vastly different from Central Florida…..I love it here. I am not loving it quite as much as I once did, though. This is Lisa, by the way!! 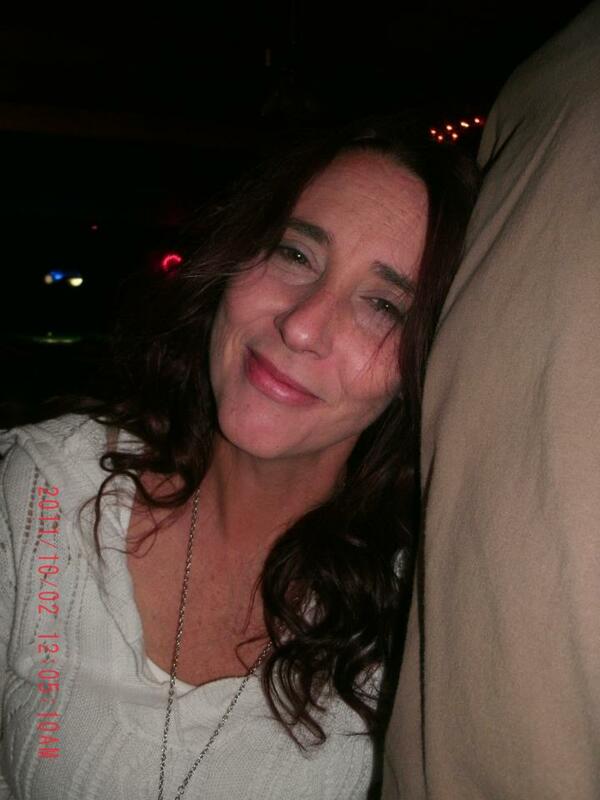 My best friend and little sister, died suddenly on October 21, 2012. Six months ago, today! My grief is all-consuming and quite overwhelming. I had to take care of Lisa’s end of life needs as our parents were unable to breathe, let alone make funeral arrangements! I was with Lisa as she transitioned from this Earthly place to the next and that was the hardest thing I have ever done!! I DO NOT want ANYONE with me! Period. At least not family. I have been told by numerous doctors and councilors, that I gave Lisa the most precious gift by being with her. I have my doubts. Six months……six months……it has been six months today that she died! I can’t even accept that I typed that! My life is so empty without her. Lisa was the “ying to my yang”, she evened me out! I cry everyday and beg for her to show me a sign from the great beyond……no clear cut message so far! My grief shows no sign of slowing. So, what is this life for? Lisa was unafraid to die, she told me so. I, on the other hand, just wasn’t ready to be without her. And I still am not. The hours have grown into days and the days into weeks. Weeks are now months and I still feel the same gnawing ache. What is my “new normal”? A life without my sister? I know that I will continue on, I must! I have a husband and two children that count on me, but I am broken. This granola is all about butters…peanut butter and almond butter. I don’t know if you’ve noticed, but store bought granola runs at least $6 a bag for a decent blend…and even those contain added sugars and oils usually. Well, I don’t think I’ve ever seen a peanut and almond butter granola, so here you go! I also use almond flour and sliced almonds to really enhance the almond flavor and texture. Most granolas contain oil or butter right? So, how did I obtain a buttery flavor/texture you ask? Well, instead of using all oats as the base, I use a cup of almond flour in place of some of the oats. It gives them moisture, a buttery taste and incredible chewiness. They end up baking crispy and chewy at the same time….similar to a peanut butter cookie! Pretty amazing! This recipe is a variation of my Chocolate Cinnamon Granola.